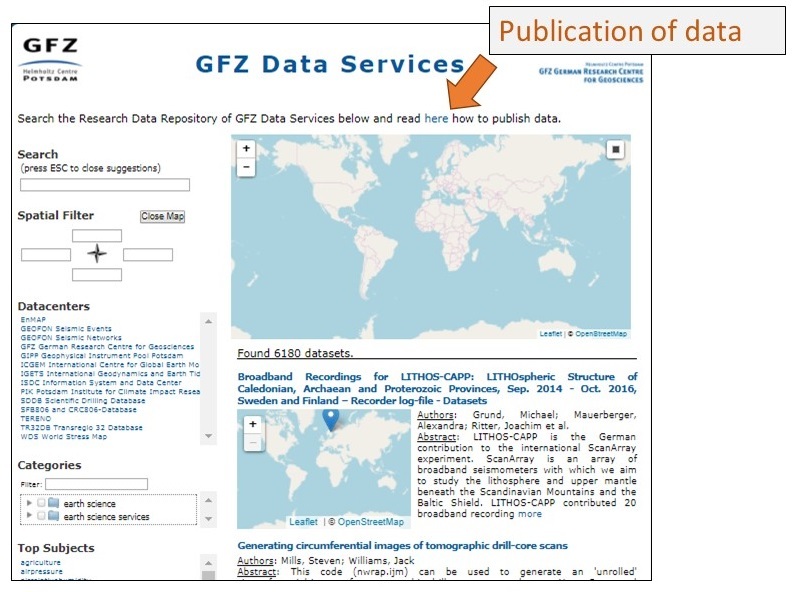 FID GEO publishes data in cooperation with GFZ Data Services, taking advantage of the research data repository of the GFZ German Research Centre for Geosciences in Potsdam. 1. Open GFZ Data Services. Click on the weblink: “…read here how to publish data.” (see screenshot below). 2. Click “this form” (see screenshot below) leads to the metadata editor. 3. 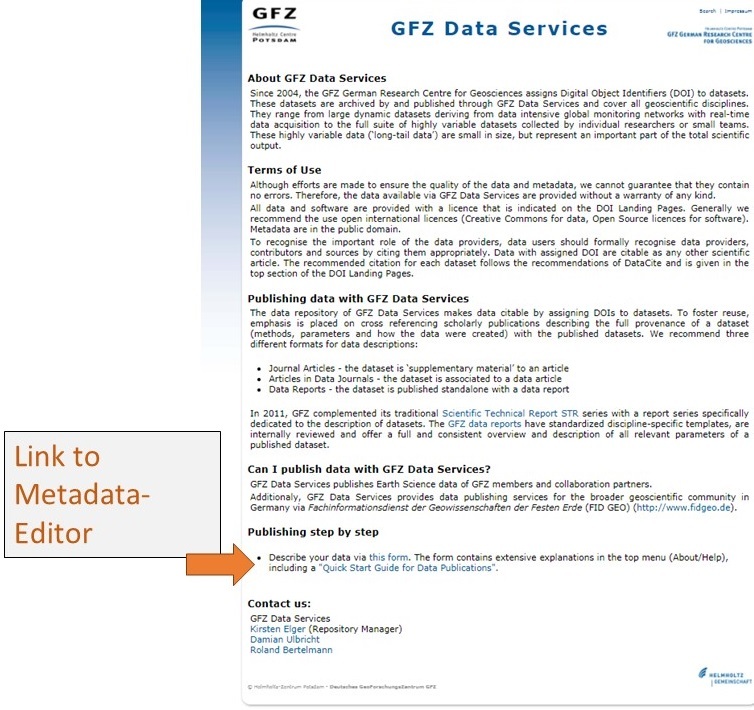 Desribe your data with the GFZ Metadata Editor. Please describe your data via the GFZ Metadata Editor. Help on the functionality of the GFZ Metadata Editor (“Help on Formular”) as well as a commented list on metadata fields (“Help on Metadata fields”) is in the top menu of the Metadata Editor (About/Help). Red fields are mandatory fields. However, to improve data discovery, we recommend to fill the form as complete as possible. Please send your datasets to kirsten.elger@gfz-potsdam.de. If the file size of your data is too large to be send via email, please contact us to discuss other data transfer options.